If you enjoy hosting, you can make your home your friends’ go-to place when they’re in your town by making some little changes around the house. If you try some of the small upgrades in this slideshow, you may find that your guests never want to leave. We think that you’ll love one hack that will transform your guest bed. Your entryway is the first thing a guest sees when they enter your home, so why not make it so warm and inviting that they’ll never want to leave? 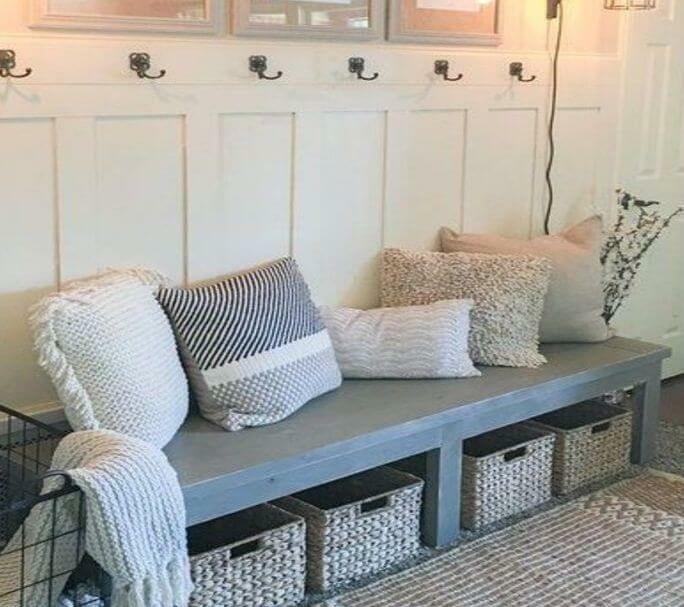 Grab a bench, some baskets, and a few throw pillows and they’ll be hooked from the moment they step inside.